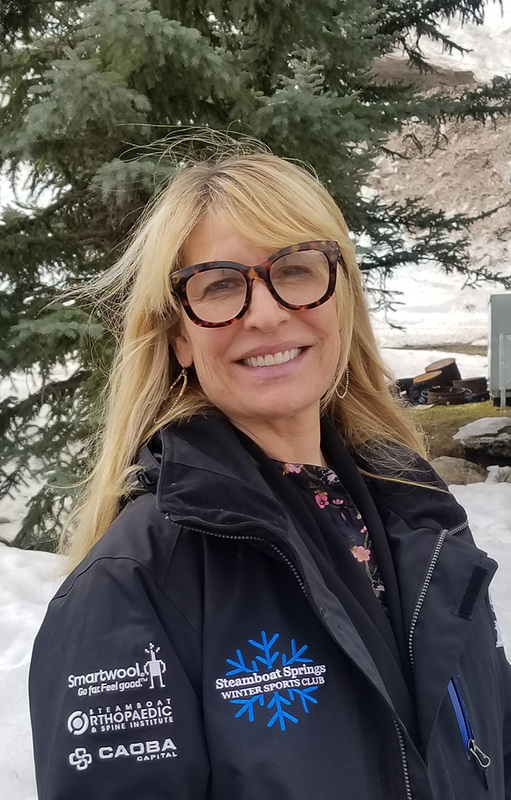 Sarah Floyd has served the SSWSC in various capacities over the last 30 years, most recently as Associate Executive Director before taking on the role of Executive Director, and has been instrumental in the continued success and sustainability of the club during her career. Sarah leads the club in managing all of its businesses and facilities, including its not-for-profit athletic and educational programs and foundation operations, as well as its for-profit businesses. Sarah oversees the development and implementation of local, national and international athletic events hosted by the club, as well as community and public service events. Sarah also manages the club and foundation’s fundraising, sponsorship, marketing and public and community relations activities. 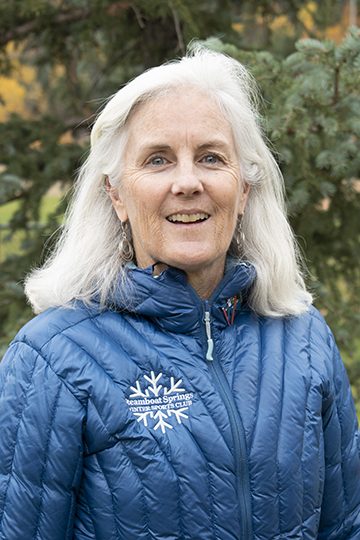 Sarah joined SSWSC in 1987 as a youth alpine coach and assisted the SSWSC youth alpine programs while also managing the Steamboat Ski Area’s Kids’ Vacation Center program for ten plus years. Sarah came to SSWSC full-time as the Director of Athletics in 1999. She earned her Bachelor’s Degree from the University of Vermont majoring in Child/Human Development. Sarah feels very strongly that all who enter the SSWSC whether as a coach, athlete, parent or administrative staff, all should leave with a greater knowledge of themselves and increased skills from their experiences at the Club. Jon joined the SSWSC in 2015 as its Athletic Director and took on the position of Associate Executive Director in conjunction with Athletic Director in 2018. Jon brings 19 years of experience in club and athletic leadership, coaching and education, 9 years with the U.S. Ski and Snowboard Association. 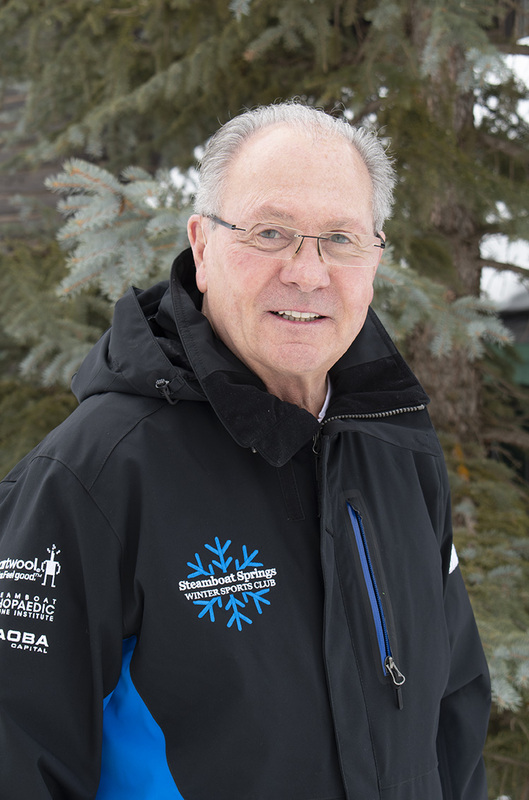 He has spearheaded national club and coach education and certification systems in the sports of Alpine, Cross Country and Freestyle skiing, Nordic Combined, and Snowboarding. He has also led significant efforts at the national level implementing best practices in athlete and coach development. Nolting holds a bachelor of science degree in applied mathematics from the University of Colorado, School of Engineering, and a minor in economics. Jon and his wife Darlene have two children who are athletes in the SSWSC. Adam joined the SSWSC staff in 2016, and promptly raised the level earning the SSWSC recognition by U.S. Ski & Snowboard as its Alpine Club of the Year in 2017 and 2018. 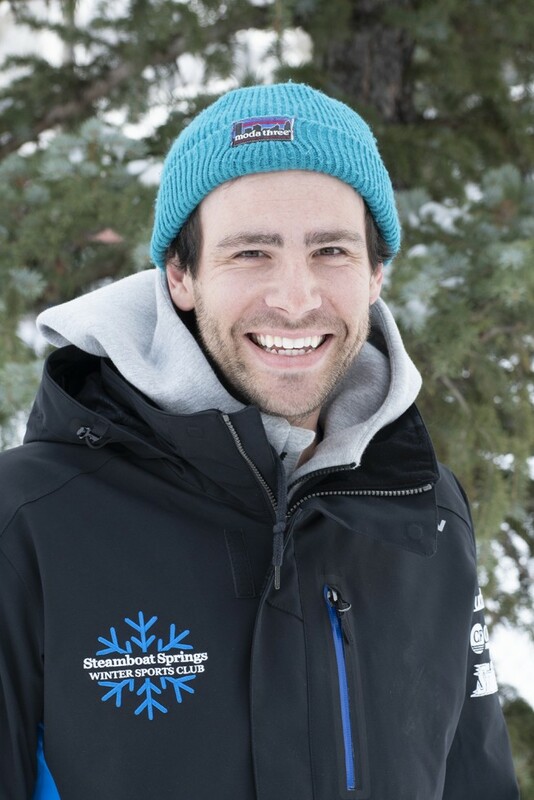 Prior to coming to Steamboat, Adam was Alpine Program Director for the Burke Mountain Academy (Vermont), Snowsports Director at Waterville Valley (New Hampshire), and a four-year U.S. Ski Team coach where he worked with Olympic medalists Ted Ligety and Andrew Weibrecht as juniors. In 2017, Adam was asked by the Shiffrin’s to step in to help coach Mikaela during a prep period camp in Austria. A Level 500 certified coach by U.S. Ski & Snowboard, Adam was honored by both the USSA and the Vermont Alpine Racing Association as their Coach of the Year in 2010. While working in the Eastern Region of the USSA, Chadbourne was the chairman of the Eastern Development Committee, where he focused on enhancing training and competition opportunities for Eastern alpine ski racers. Blair grew up in Minnesota as a competitive figure skater and enjoyed skiing through her youth. Blair moved to Steamboat in 1992 and taught skiing with the Steamboat Ski and Resort Corp for 7 years. She started her career with SSWSC as a Buddy Werner League coach in 1992. She is a PSIA Level 3 certified instructor and USSA Level 100 coach. She has had director experience in a variety of youth sports including cycling and soccer and has a passion for teaching kids and educating parents. In the summer she is the Cycling Director for SSWSC and started the Steamboat High School Mountain Bike Team in 2013. Blair and her husband John have three boys that are alpine ski racers and competitive mountain bikers. In her free time she enjoys skiing, mountain biking, spending time with her boys. Aldighieri has a long history of success as an athlete and a coach. He spent 7 years on the US Ski Team where he attained #5 ranking in the World Status. He won a World Cup Gold Medal in 1988 and was part of the 1991 World Championship Team, and then attended the 1992 Winter Olympics in Albertville, France. After retiring from the US Ski Team, Aldighieri joined the Professional Ski Tour and became the first mogul skier in history to win a World Cup and a Professional Event. 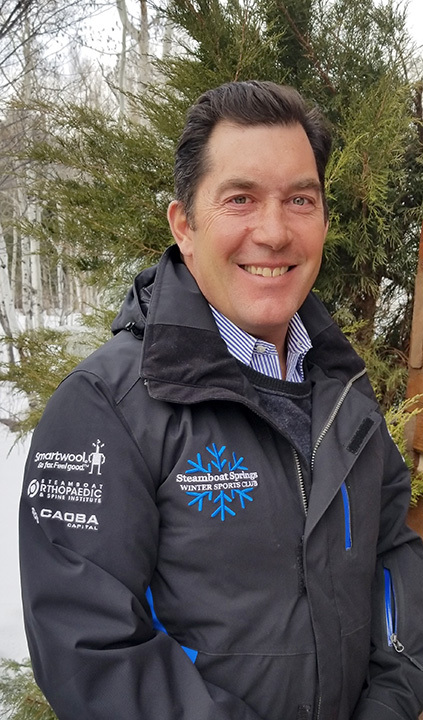 Post tour, Aldighieri worked for SSWSC as head coach of the Mogul Program before coaching the Canadian National Ski Team/Olympic Team and then with the Canadian Sport Institute in Whistler, British Columbia, as their Moguls Talent Development Coach. SSWSC is thrilled to see the return of Aldighieri to a position of leadership where his successes can influence the club’s program. Tori Koski grew up in Steamboat Springs, CO. Starting as a member of SSWSC at age 12, Tori became a international snowboard athlete while competing in a variety of sports. She was invited to join the US Snowboard Team at the young age of 15 and traveled the globe competing. After high school, Tori pursued her international professional snowboard career. Faced with a series of obstacles and injuries she persevered through every challenge presented to her. She is passionate, intelligent, athletic, kind and generous with everyone she comes in contact with. She shares her experiences, knowledge and passion for life with everyone, most importantly her family and friends. In addition to being the Snowboard Program Director, she is one of a select few to coach at US Snowboarding Project Gold camps. Todd oversees a professional staff of sixteen coaches involved in the training of over 100 athletes. He started jumping with the Winter Park, Colorado Jumping Program at the age of five and took his first jumps at Howelsen Hill in Steamboat Springs at age eight. 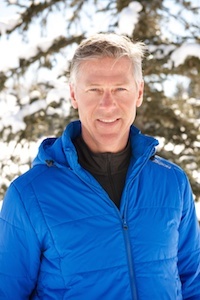 In 1984 he was named to the U.S. Nordic Combined Ski Team and competed internationally for nine seasons, which included the Winter Olympic teams of 1988 and 1992 and the World Championship Teams in 1985 and 1987. Todd began coaching with SSWSC in 1993 while he attended college at Colorado Mountain College in Steamboat. 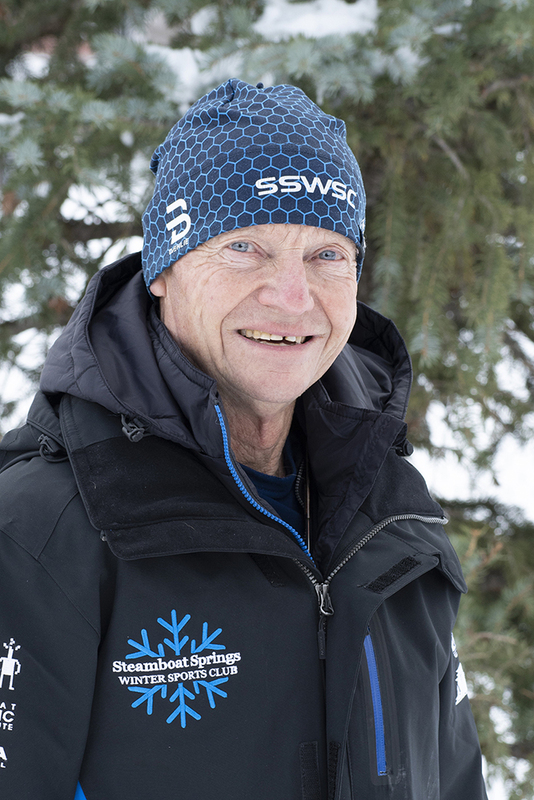 His first tour of duty with the SSWSC was as head coach for the Development Team and then he was named Nordic Combined Head Coach the following year. In 2000 he was promoted to Nordic Program Director to oversee all the club’s Nordic sports of ski jumping, cross-country, Nordic combined and biathlon. 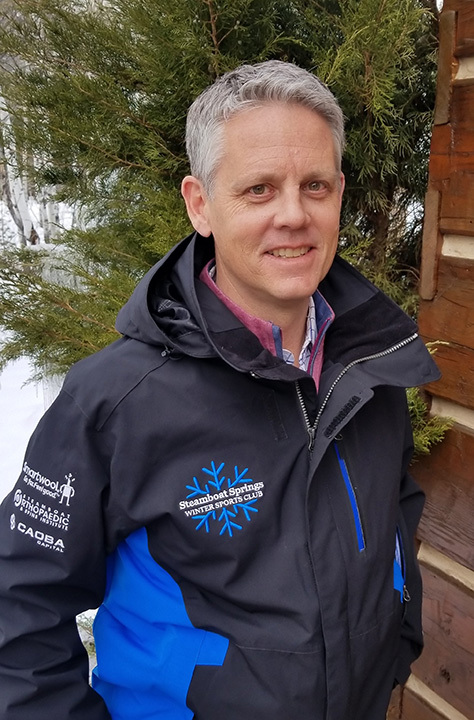 Due to growth in the Nordic sports, in 2010 Todd was named Ski Jumping/Nordic Combined Program Director to focus on the J/NC programs and also continues to play a role as an assistant coach to the U16/U18 programs. This is Todd’s 25 season with SSWSC. Todd is also currently the chairman for USSA Ski Jumping and Nordic Combined Coaches Subcommittee and was a finalist for the 2003, US Olympic Committee’s, Development Coach of the Year Award. He and his wife, Stephanie, live in downtown Steamboat Springs with their two daughters, Maggie and Ella. Dave began his coaching career as a high school cross country ski coach in Minnesota in 1986 and has been coaching kids and adults ever since. He and his family made their home in Winter Park, Colorado, for 22 years, moving to Steamboat in 2013. He has a background as an engineer, a high school physics teacher and has owned and operated a manufacturing business. He started and ran CrossFit Thin Air in Winter Park for five years, holds a CrossFit Level 3 certification (CCFT), USA Weightlifting Sports and Performance Coach and is also a USSA Level 100 XC Coach. He works with athletes and their coaches from all the SSWSC disciplines, year round, in the SSWSC DeHaven Strength Center, helping them meet their athletic goals. In his spare time, Dave enjoys cross country skiing, cycling, weightlifting and CrossFit competition as well as working on his vintage snowcat. A Colorado native and business graduate of Colorado State University, Amy moved to Steamboat in 1986 to work and play on Mt Werner. She spent 13 years working for the Ski Area, with the majority of that time spent as the Accounting Manager. In 1999 Amy joined the staff of the SSWSC and still loves spending her days at Howelsen Hill. Amy’s family members all participate in the SSWSC Cross Country program. Her husband Greg has coached for over 20 years and her 2 daughters have both grown up training through the Nordic programs. Ellen Campbell is the Director of Development for the SSWSC Foundation and the SSWSC. Before joining the SSWSC, Ellen spent three years with the Yampa Valley Medical Center Foundation as a Development Associate. Ellen previously owned a successful business specializing in wholesale fine jewelry, estate sales, high end antiques and collectibles for 26 years. She also served in management positions in sales, operations and public relations for various corporations in Silicon Valley. Ellen has owned a home in Steamboat for more than 20 years and is an active member in the community. She has served as an Advisory Board member for Catamount Ranch and Club since June 2012 and was Social Committee Chair at Catamount from 2008 through 2016. Rory was born and raised in Steamboat Springs; a true Steamboat local! As a passionate outdoors enthusiast, Rory found her perfect fit in working with the SSWSC after 4 years as a Marketing Manager for a real estate agent. Rory has two degrees from the University of Colorado, Boulder a BS in News Editorial and a BA in Photography. In her spare time, Rory can be found with a camera in hand backcountry skiing and snowboarding, rock climbing, guiding whitewater, rescuing animals, and enjoying adventures with her dog Piper. Deanna joined the SSWSC part-time in 2001 assisting with registration. In 2006 she joined the staff full time and has since gained the title of Director of Member Services and Travel. 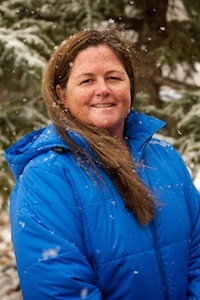 Before joining the SSWSC team, Deanna owned and operated a ski photography company in Northern New Mexico. Her love for the outdoors and her son’s passion for all snow sports brought her to Steamboat in 2001. Deanna’s son, David, participated in SSWSC competitive level programs, and Deanna continues to love watching children grow and learn on the snow. The athletes of the SSWSC reflect her sentiments towards them; Deanna’s office is filled with children’s toys, and the younger members of the SSWSC always stop by to say hello. Deanna is always the first to welcome any member of the SSWSC with a kind smile and works hard to help members with all of their registration or travel needs. Modesitt has been an integral part of the Steamboat Springs Community, formerly working as the Community Support Manager at LiftUp of Routt County prior to joining the SSWSC. There, his job responsibilities included oversight and supervision of all community support staff, volunteers, and physical facilities, including maintaining records, project organizer, and being the community liaison to community groups. These skills will transfer fluidly over to the SSWSC. 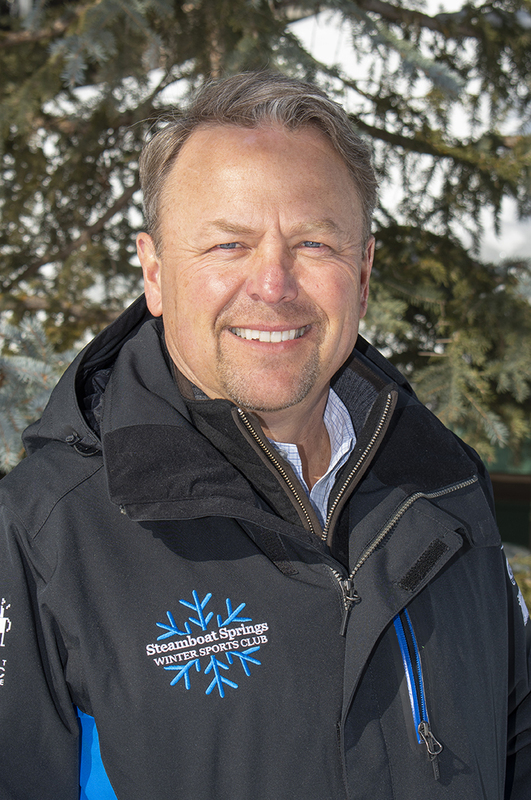 As Director of Facilities and Events with the SSWSC, Modesitt will be responsible for managing and supporting the operations, facilities and events of the club; including general operations, event / venue management, transportation, and will be our facilities and events liaison with the City of Steamboat Springs Parks and Recreation department, and other groups we partner and interact with. Modesitt is a Colorado Native from Cherry Creek. 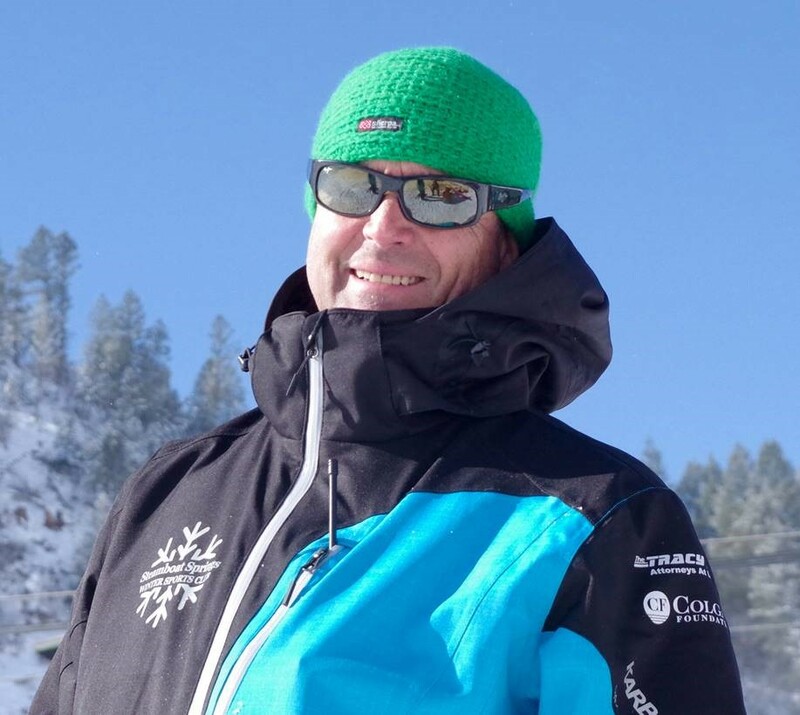 His love of the outdoors includes skiing, snowshoeing, kayaking, rafting, and lacrosse, which he played competitively until the age of 42 and coached youth programs for 10 years, including as a current coach at the Steamboat Springs High School. John Adams has over 30 years experience in the mining business. He is the son of Robert W Adams, one of the founders of the US uranium industry. John has been active in real estate development, banking, and cattle production. He formerly owned 40% of the Denver Broncos National Football League Franchise. He resides on his families’ cattle ranch in Steamboat Springs, Colorado. Jon is married to Betsy and they have three grown children. He relocated the family and company to Steamboat in 2013 and splits time between Steamboat and Martha’s Vineyard. Albro is the Founder and CEO of Penn Square Real Estate Group and Penn Square Advisory Group, LLC. He has 33 years of institutional and retail distribution and investment experience with leading asset managers. Albro holds a BS Economics, State University of New York. He was the Executive Vice President of Cole Capital Markets and National Sales Manager with MetLife Investors. He also held senior level executive positions with Gartmore Global Investments. Albro serves on the Board of the National Comedy Center based in Jamestown, New York. He also serves as an advisor to the Steamboat Free Concert Series. Raised in Steamboat, David is a graduate of Dartmouth College with degrees in English and Environmental Studies. He is a Real Estate Broker and Co-Owner of Steamboat Sotheby’s International Realty. As a Million Dollar Guild Member of the Institute for Luxury Home Marketing, he has been a top performer in the sales of major developments, including residential, condominium and commercial ventures for over 20 years. He also holds a Certificate from the Program on Negotiation at Harvard Law School. David’s many successes include being instrumental in the sell-out of the exclusive Catamount Ranch and Club. 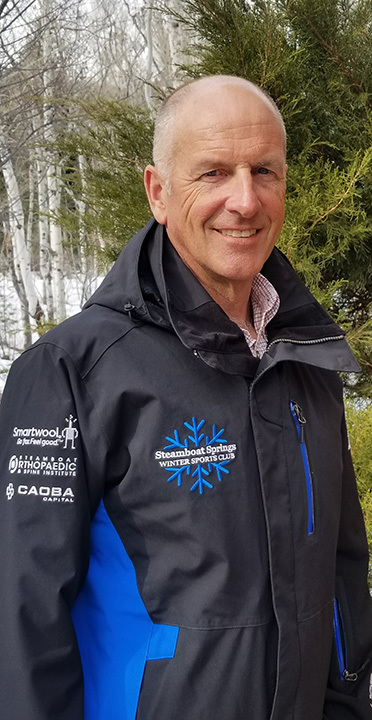 As a former alpine ski racer and coach of future Olympic stars, David is a passionate supporter of all disciplines and has been a member of the Steamboat Springs Winter Sports Club for over 40 years. 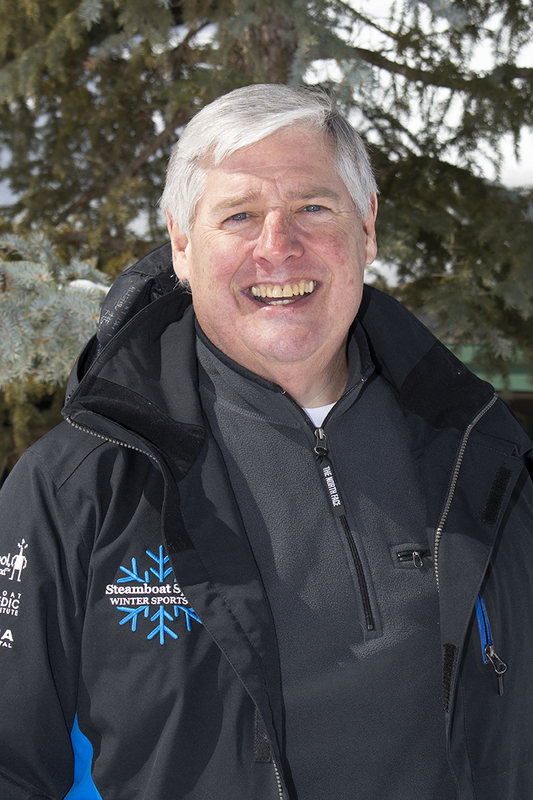 Since 2005, Dave has been a Founding Board Member and is current Co-Chair of the Ski Base Area Urban Renewal Authority (URAAC). He served on the Steamboat Pilot & Today Editorial Board, is a past President and Board Member of the Steamboat Springs Chamber Resort Association, served eight years on the Steamboat Springs Planning Commission, and is a Board Member on the Yampa Valley Construction Trades Association. David is proud to have been honored with the Navigator Award as Steamboat’s 2007 Business Leader of the Year. Paul is a graduate of the University of Wisconsin and the Wisconsin Graduate School of Banking. He was associated with the M&I Bank of Madison and Southern Wisconsin for 42 years, becoming President in 1976 and retiring as Chairman & CEO in 2003. 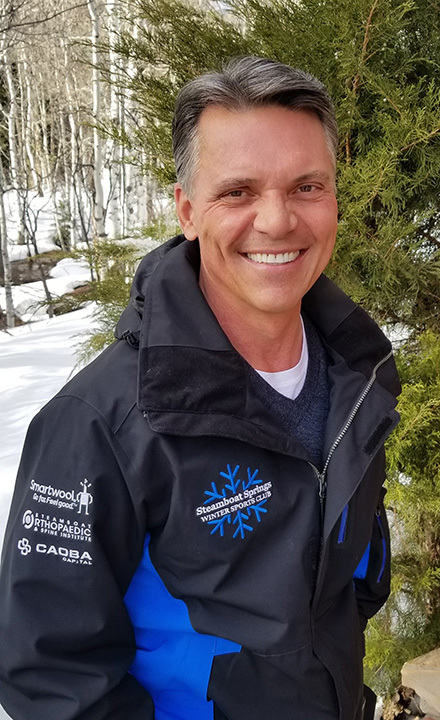 Paul has been active in numerous professional and civic organizations as an officer and board member, including being the past President of the Steamboat Springs Winter Sports Club Foundation. 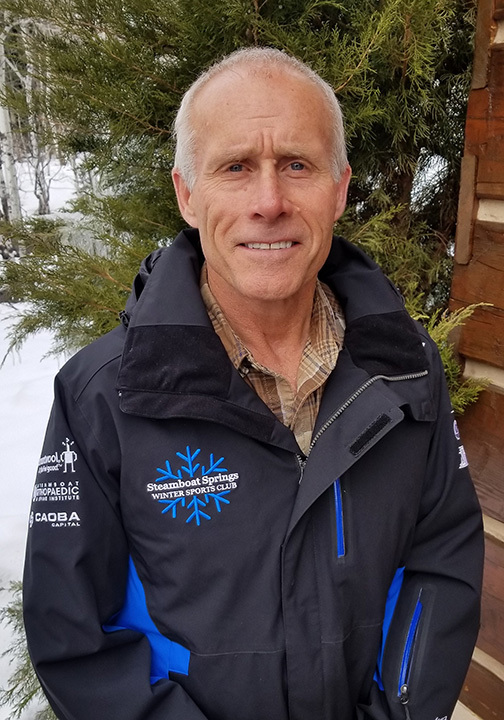 Paul is also a former Steamboat Ski and Resort Corporation Ambassador and a past Certified Official for the United States Ski Association. Paul is a resident of Madison, Wisconsin and has a daughter Maren who resides in Steamboat Springs, and a son Robert who resides in New Hampshire. Dr. Childs grew up in Abilene, Texas, went to college at Tulane University and medical school at L.S.U., both in New Orleans. He did his internship and residencies in Birmingham, Alabama, and practiced urology there for seventeen years. He and his wife moved to Cheyenne, Wyoming in 1995, where he practiced urology for nine years. His love of the mountains and skiing brought him to Steamboat Springs in May of 2004. Dr. Childs was active in clinical research for twenty-eight years and started three research companies, one of which went public. His early interests in infection and inflammation of the urinary tract led him to the faculty of The University of Colorado in Denver where he was appointed Clinical Professor of Surgery in the division of Urology in 1999—a position which he currently holds. He is a consulting editor to the journal Urology, and is former editor-in-chief of Issues in Urology and the urology section of Medscape, among others. He has authored three medical texts, six chapters in medical books, and published over seventy-five articles in peer-reviewed medical journals. Dr. Childs began writing fiction in 2006. He has two published medical thrillers, Block 10 and The Boys of the Dixie Pig, both published by Crossroad Press. Dr. Childs has been listed in Americas Top Doctors since the fifth edition of the organization and has been listed in Best Doctors in America every year since 2007. In addition to practicing urology for nearly four decades, Dr. Childs enjoys ski racing, road biking, hiking, fly fishing, and rifle and hand gun target shooting. He was a torch carrier for the Salt Lake City Olympics, after which he ran two marathons in four weeks, the last one in New York. He is a prostate cancer survivor. Debbie and her husband, David, have made Steamboat their “second home,” having lived in Houston, Texas for over 50 years. An avid golfer, skier, traveler, and dog lover, Debbie has supported her passions as a leader, participant, and donor throughout the years. She has served on the Catamount Ranch and Club Advisory Board of Governs for a number of years and is the former chair of the Social Committee. 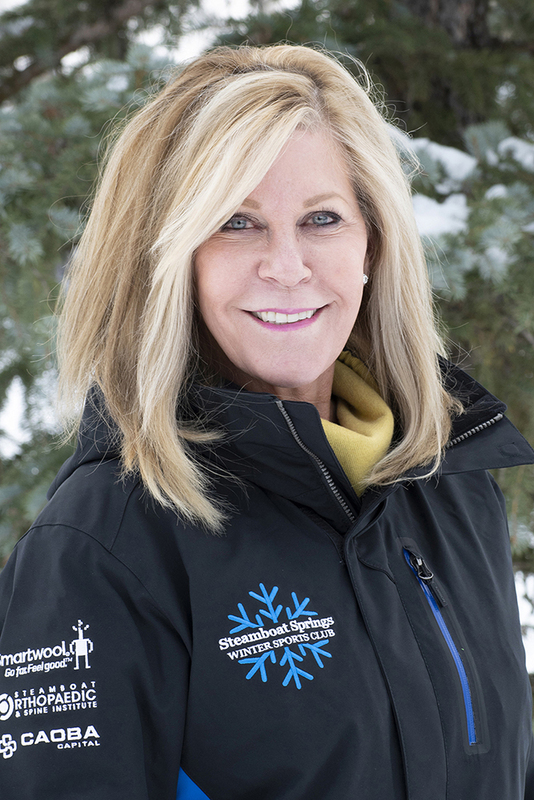 Along with the Steamboat Springs Winter Sports Club, Debbie also supports Born Free Wildlife Rehabilitation, Boys and Girls Club, Strings Music Festival, and Young Life. Debbie has been married to David for 34 years and has five grandchildren. She shares her love of Steamboat regularly with her family and numerous great friends. Debbie believes that, “Young athletes who participate in the SSWSC training programs are provided a healthy environment to learn and grow. With coach mentoring, the athletes are engaged in their personal performance and focus on their individual goals. Athletes have a purpose and with that comes discipline, motivation and confidence. These are skills that they will take them into college and beyond. Scott Engelman is the Principal of SEAdvisors LLC, a hospitality advisement company specializing in operational and strategic consulting for hotel and restaurant entities. Additionally, the company provides business development strategy for companies wishing to penetrate or fortify their positions in the hospitality industry. Scott Engelman received his Executive MBA (2011) and BSBA(1991) in Hotel and Restaurant Management from the University of Denver. He also studied Tourism Management at The University of Hawaii. Scott moved to Steamboat in June of 2010 and lives in the South Valley with his wife, Liz, Barret and Owen. He is an avid “Alpine” skier, golfer and trailblazer. John Hayden retired from the Midland Company (NASDAQ “MLAN”) in October, 2010 after nearly 30 years of service, the last 13 as the company’s President & CEO. He held the same positions in the Company’s wholly-owned specialty property/casualty insurance company, American Modern Insurance Group. Midland achieved unprecedented success under Mr. Hayden’s leadership. The company’s market capitalization grew from $180 million to $1.35 billion, a compound annual rate of 22%. The company’s revenues expanded from $375 million to $1.2 billion, its assets grew from $760 million to $1.7 billion and its pretax profits grew from $35 million to $120 million. He and his wife of 31 years, Carrie, have three adult children, John, Kate and Abbey, a daughter-in-law, Becky, and a granddaughter, Annabelle. 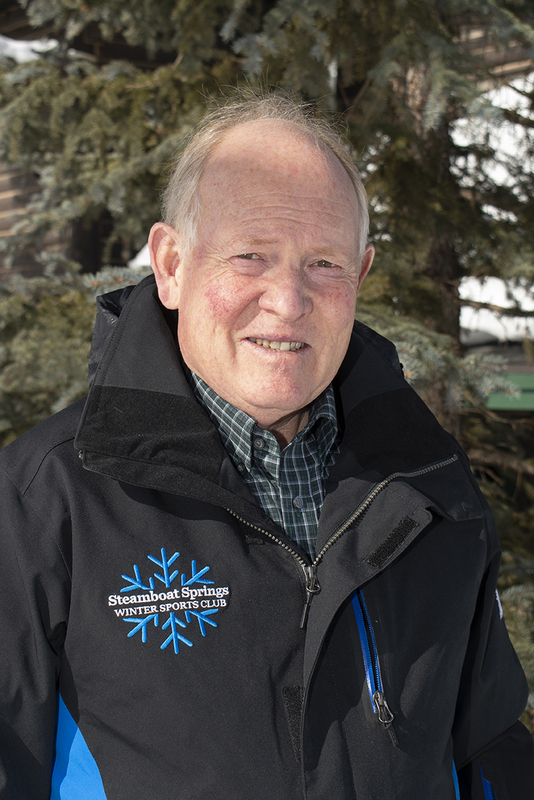 Ed graduated from CSU in 1979 and came to Steamboat Springs with his wife June. Since those early years, Native Excavating has grown into one of the biggest construction companies in Steamboat. Native Excavating, has donated equipment, time and money to projects like the Alpine slide, the Winter Sports Club’s weight room, the water ramps east of Steamboat and the new Nordic jump facility at Howelsen Hill. Charlie MacArthur has been the President of Native Excavating since 2018. As a Steamboat native, MacArthur has built solid relationships and connections within our community. He has been married to his wife Rebecca for ten years, raising two young children with another child on the way in June. For seven years, MacArthur was a Steamboat Springs Winter Sports Club athlete and was also a coach for two years of the Freeskiing team. MacArthur graduated from CU in 2007 with a Business Management degree. He served on the Steamboat Springs Planning Commission for five years and was on the Steamboat Institute Board of Directors for four years. Additionally, MacArthur served on the City of Steamboat Springs’s Stormwater Task Force, Police Station Site Selection and Chief Hiring committees. 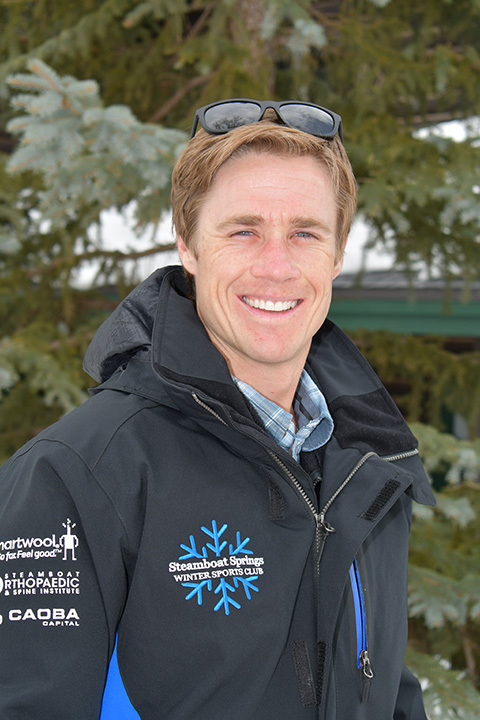 Raised in Wisconsin, Brian Olson is a former ski racer who followed his ski dreams and a ski scholarship to Steamboat. He believes in the values of training, challenge and competition at an early age and lists “working as a team and coping with disappointments and enjoying triumphs” as what he most appreciated about his own experience as a competitor. He and his wife Lisa are strong supporters of SSWSC and dedicate a portion of Olson Development earnings and Lisa’s broker commissions to the club. Chris was born in Boulder, CO, and raised in Crested Butte, CO. He attended Burke Mountain Academy and was a three time World Junior Team member placing 4th overall in 1988. He was on the US Ski Team from 1987-2001. His accomplishments include being a member of the 1992 US Olympic Team competing in Albertville, France, member of the 1993 and 1996 World Championship Team in GS and 4x US National Champion (3 Overall, 1 DH). Chris joined the SSWSC Alpine staff as an Ability Coach in 2002 then became Alpine Director and Head Ability Coach in 2005. 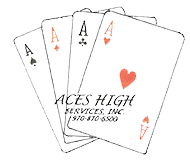 In 2007, Chris joined a financial services firm here in Steamboat Springs. He continues to coach at the U12 level. Chris and his wife Wendy have two sons, Cole and Cooper, in the Alpine programs at SSWSC. Chris joined the Foundation Board in 2011 to help the organization that he helped coach for five years and that his kids be a part of for many years to come. Melinda Sherman received her law degree from Loyola University of Chicago School of Law in 1992, was admitted to the Illinois bar in 1992 and the Colorado bar in 1993. Melinda has practiced law in Steamboat Springs for almost 20 years, focusing in the areas of real property, business, banking, special district, zoning, municipal, home owner associations, estate planning, and water law. She currently serves as a board member on the Board of Directors of the Tread of Pioneers Museum, the Routt County Humane Society, Impact 100 Steering Committee, and The Foundation, Steamboat Springs Winter Sports Club. Melinda is married to general contractor and carpenter, Jon Sherman, who coaches both skiing and mountain biking for the Steamboat Springs Winter Sports Club. She has two children, both of whom participate in the Steamboat Springs Winter Sports Club. Paul Slivon is a Senior Managing Director at TWP Private Wealth Management, the Private Wealth Division of Stifel Nicolaus & Company, Inc., a full-service investment advisory, bank and wealth management firm. Slivon earned a B.A. from Amherst College and an M.B.A. from the Anderson School of Business at UCLA. Prior to joining TWP, Slivon was a Managing Director of Institutional Sales at Robertson Stephens & Company Group LLC, an investment banking and financial services firm, and Senior Vice President of Kemper Securities. Prior to Stifel’s acquisition of the company, Slivon was a founding partner and head of institutional sales at TWP. Slivon has been married to Noreen for 30 years and they have three grown children whom they raised in the San Francisco Bay Area. 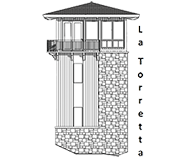 The Slivon’s purchased property at Steamboat Lake in 1990 and built their home in 2008. Slivon splits his time between San Francisco and Steamboat. He recently joined the North Routt Fire Department board of directors. When Slivon is in town, he enjoys skiing, biking, hunting and fishing. Ron is a nationally renowned trial lawyer who has prosecuted thousands of food poisoning cases for victims across the United States. His work has resulted in numerous upgrades to food safety procedures in Fortune 500 companies and in legislation designed to protect consumers from dangerous food-borne pathogens. Ron and his clients have been featured on NBC, ABC, CBS, CNN, FOX and virtually all other major television networks and print media. He regularly publishes articles about food safety and litigation which are read by viewers in over 180 countries. Through litigation, media commentary, and his food poisoning publications, Ron relentlessly challenges food companies to do a better job in making our food safe. Ron was raised in Baytown, Texas. He attended the University of Texas in Austin, where he received his bachelor’s degree in the Civil Engineering Honors Program in 1990, and his law degree in 1993. He has been married to his college sweetheart, Sarah, for 23 years. They have three children – Jessica, Ashley, and Jordan. The Simons moved to Steamboat Springs from Houston, Texas in 2012, and now enjoy fly fishing, snow skiing, horseback riding, golf, and mountain biking as a regular part of their daily routine. Jordan is also in the alpine program in the Steamboat Springs Winter Sports Club. Jeff is a director of the SSWSC Foundation. Jeff is also a principal at Momentum Development, LLC, which develops multi-family housing projects in the front range of Colorado. As Managing Partner for Elk River Partners, Jeff planned and built Marabou in Steamboat. Jeff’s father founded the Steamboat Ski Area in 1959. Jeff co-founded Spyder Skiwear in 1977 and ran the company from 1977 -1993. Jeff started skiing in the Steamboat Springs Winter Sports Club, was a four time member of the NCAA Championship C.U. Ski Team, and was named All American in 1976. Jeff lives with his wife Kim, and has two sons, Parker and Brandon. In January of 2000, Pam purchased Prudential Trimontane Real Estate with another top agent, Cameron Boyd, to create the now formidable real estate firm of Steamboat Sotheby’s International Realty. The company has grown tremendously since 2000, and is home to 60 full-time agents and is the number one real estate office in North West Colorado. 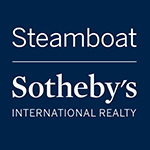 In 2010, Steamboat Sotheby’s International Realty (formerly Prudential Steamboat Realty) was chosen by Steamboat locals as the “Best Real Estate Agency” in the Best of the Boat poll. For the past 15 years, Pam has been in the top 1% of Prudential agents nationwide. For Pam, living in Steamboat is sheer heaven. She acknowledges every day how lucky she and her associates are to be able to enjoy such beauty in such a close-knit community. Pam married Steamboat native Lonny Vanatta in 1996, a former U.S. Ski Team member and world champion ski racer. Pam’s work might be focused on premier real estate, but her involvement in the Steamboat community is exemplary. Alex joins SSWSC from the Mission Ridge Ski Team in Wenatchee, WA, and has worked at every level of the sport. She has spent the last seven years as their Youth Director, rapidly growing the program’s membership from 25 to over 100. Prior to her work as the youth director, she was the J3 (U16) Head Coach for five successful years. Alex was awarded Coach of the Year for the Pacific Northwest Division of U.S. 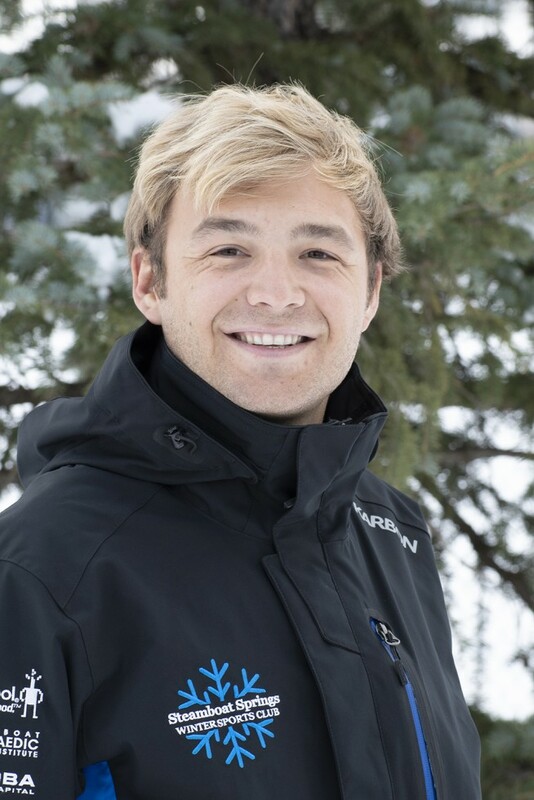 Ski & Snowboard in 2015, and was named to 2017’s “Wenatchee Class of 30 under 35”, a distinction recognizing outstanding innovation and leadership. Alex firmly believes in SSWSC’s interdisciplinary philosophy, and that U10’s are the base of a successful program. She is committed to creating a culture where athletes develop a strong skill base and use positive mindsets to reach their maximum potential both on and off of the hill. Growing up in Bucks County, PA, Linda spent her youth skiing in the Catskills of New York. She started teaching skiing in high school then ski raced in college. After graduating from Amherst College, she moved to Steamboat Springs in 1990 and taught skiing full time for 10 seasons at Steamboat and Telluride including 3 in New Zealand (Treble Cone, The Remarkables and Coronet Peak). Linda started her career with SSWSC as a Buddy Werner League coach in 1997. 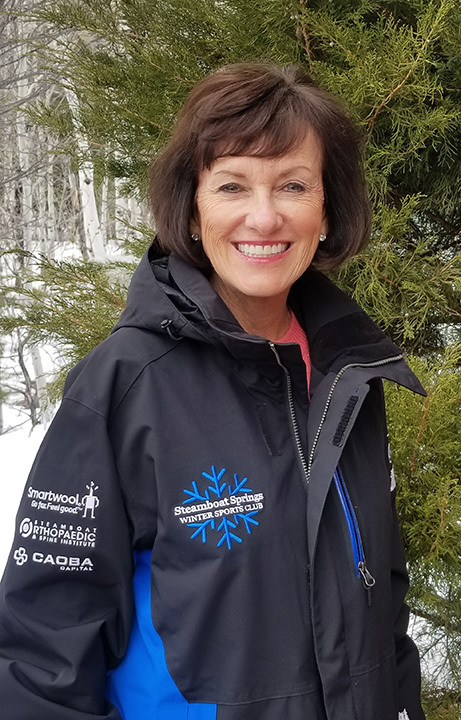 As a PSIA Level 3 certified instructor, Linda is passionate about her Head Coach/Trainer role creating a great experience for our U8 athletes, their families, and our coaches. Linda and her husband Michael have 2 children who have spent many seasons racing alpine and XC and also junior coaching with the alpine youth programs and mountain biking programs. In her life off the mountain she is a professional people manager in the outdoor industry. Born and raised in Alaska, at the ripe old-age of 10 years Sherry learned to ski in typical Southeast’s rainy, icy conditions at just above the beach Eaglecrest in Juneau, AK. After thru-hiking 2100 miles of the Pacific Crest Trail in 2000, Sherry and her husband moved to Steamboat Springs looking for powder and a “real” ski town as their winter residence. 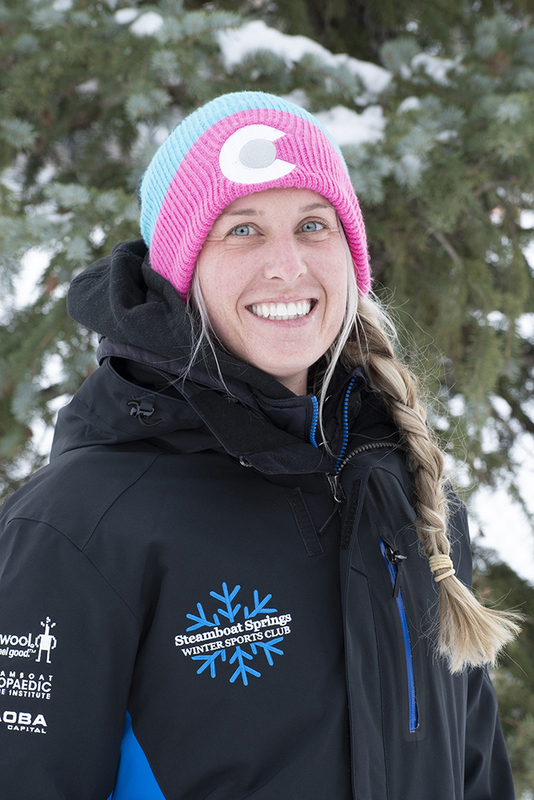 Starting as a SSWSC Little Toots coach, Sherry now guides the fun for super young and sometimes new to skiing Steamboat area kids as the U6 & Little Toots Head Coach. Never tempted to move up age levels, Sherry feels lucky to be coaching at the very start of hopefully life-long lives of skiing and maintains she gets way more back then she gives. Sherry, her husband Greg and son Gabriel (a tele-devo athlete) still spend their summer months back in Sitka, Alaska where she wrangles tourists for a living. 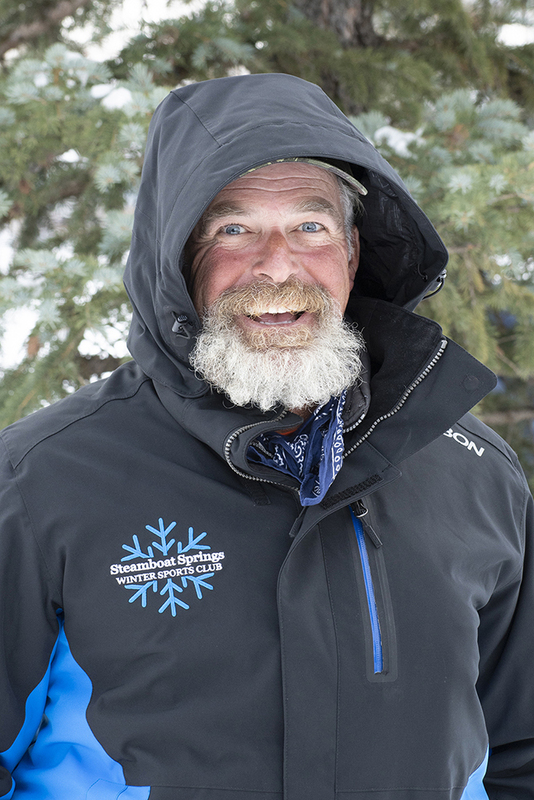 Charlie grew up racing alpine for several years until graduating from Whitman College 1992. 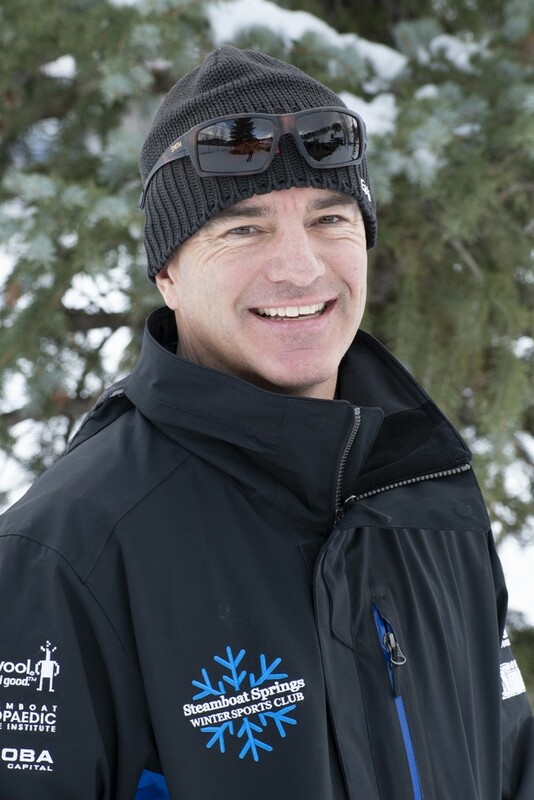 Charlie began telemark skiing in 1994 while coaching the Seattle University Ski Team. Charlie then started racing telemark and become a member of the U.S Telemark Ski Team from 1999- 2002 racing in several World Cup events in Europe and North America. After taking several years off, Charlie rejoined the U.S. Telemark Team from 2009 through 2014. Charlie earned several top 15 results in his World Cup career and was the National Champion in 2012. Charlie has worked with the telemark program for the SSWSC for 8 years now. Ryan grew up in Red Wing, Minnesota and skied for the Buck Hill Ski Racing Club. He spent his PG years with Guenther Birgmann before qualifying for the US Ski Team in 2009. Instead of accepting his nomination, Ryan chose to accept an athletic scholarship and race for the University of Utah where he was a 3 time NCAA first team All-American. Ryan studied Sports Management and business and graduated in fall of 2013. Ryan made an immediate impact in the coaching realm, now leading the SSWSC FIS program which has more than doubled in size and placed skiers onto the US Ski Team each of the last two seasons. In his time off snow, Ryan is an avid golfer and mountain/road cyclist. 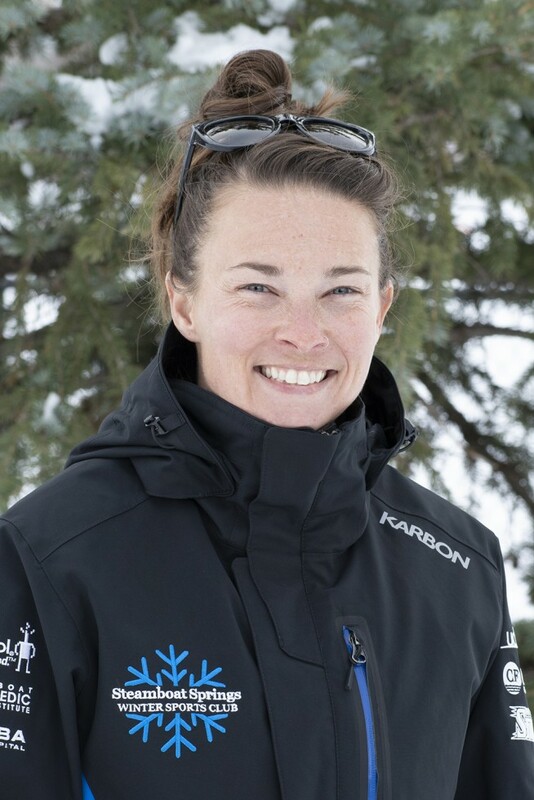 Amber McHugh joins the SSWSC from her long-standing position at Burke Mountain Academy; coaching both men and women at the FIS level since 2007. Amber brings a wealth of knowledge and expertise in a number of areas. 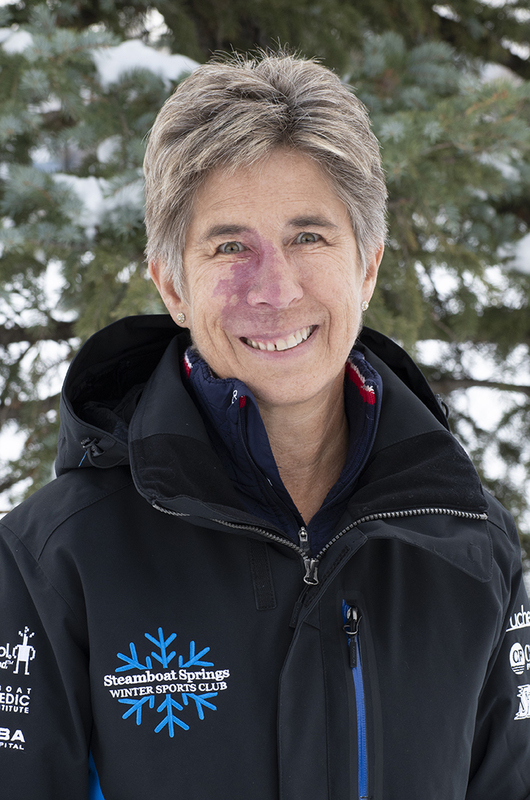 First and foremost she is a highly intelligent and knowledgeable ski racing coach, leader, and mentor. During recent years Amber worked extensively with the strength and conditioning program at Burke and has earned her strength and conditioning certifications from the NSCA and USA Weightlifting as she worked toward completing a Master’s degree in Strength and Conditioning. Amber is a Level 300 certified coach by U.S. 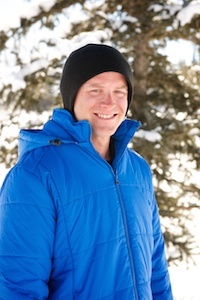 Ski & Snowboard, earning “head of the class” honors at the 2011 Alpine National Coaches Academy. 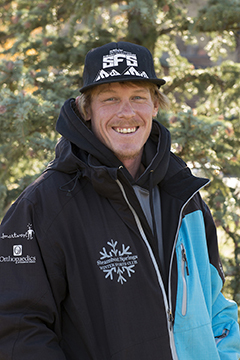 Jake Benda comes to the SSWSC from his most recent coaching position as a FIS coach for the Snowbird Sports Education Foundation. Jake brings with him tremendous work ethic and skiing ability. Jake is an accomplished racer in his own right who has now turned his attention to the coaching world. His own philosophy on athletics aligns wonderfully with ours at SSWSC. There is little doubt that Jake brings much to this vibrant community. Jake will be the SSWSC lead men’s coach for athletes born in 2002 and 2001, while Mike Bansmer joins the leadership team as lead coach of the men’s 2000 and older group. Thomas was born and raised in Scranton, Pennsylvania. He started skiing at the age of three, chasing his older sister around the mountain. He skied and raced at Elk Mountain in Northeastern PA where he was ranked among the best skiers in the state. During High School he attended Mount Mansfield Winter Academy in Stowe, VT where he raced both USSA and FIS. Deciding to forego racing in college, Thomas started coaching at his home hill. After five years of coaching, he was put in charge of the U16 age group and the weekly night training. He is starting his third season with the SSWSC. Thomas has a great passion for the sport and is committed to helping develop young athletes to the best of their abilities both on and off the hill. Thomas graduated from the University of Scranton with a degree in Political Science. When not on the hill, Thomas enjoys hunting, fishing, playing tennis and golfing. He is also a major fan of Notre Dame Football. Ty attended the Whiteman School as their first ski racer. Ty started coaching at the University of Colorado in 1987 and then returned to the Winter Sports Club. He has been coaching at the FIS, Nor-Am and World Cup level and has worked with numerous NCAA champions, US Ski Teamers and Olympic racers in both alpine and telemark racing. Along the way he has picked up full certification with the PSIA in both Alpine and Telemark and the same with the US Ski Coaches Association. In his free time, Ty volunteers with Routt County Search and Rescue and the Clark Colorado Volunteer Fire Department. The Marine Corps added some saltiness to his already intense personality and spending two years in Mesopotamia taking on bad guys did little to tone down his zest and enthusiasm for skiing. He enjoys reading, empty spaces and sea glass collecting. Ben grew up racing in the Upper Peninsula of Michigan. He continued his racing career at Western State Colorado University, competing Division 1 NCAA. After graduating college Ben continued racing full-time at the Continental Cup level in pursuit of his goals. He began ski coaching at Loveland Racing Club. After 3 years at Loveland, Ben coached 1 season for a private team, Iced-Out Racing, based out of Summit County. Most recently Ben spent 3 years coaching FIS athletes at the Green Mountain Valley School in Vermont. Ben was invited to coach in several Regional and NDS Camps, as a representative of the Eastern Region. Ben is excited to be back in Colorado coaching, and enjoying his favorite hobbies of bike racing and back-country skiing. Michael was born and raised in Mequon, Wisconsin. He raced for Ausblick race team & Heiliger Huegel as a youth racer. He skied USSA and FIS during high school and continued to race in college at the University of Minnesota. Michael followed his passion for sports, earning a degree in sports management. After graduating, Michael moved back to Milwaukee and started his coaching career with Heiliger Huegel. Michael spent 6 years coaching U14s and also served as the assistant program director before taking the position with SSWSC. Michael has a passion for working with youth athletes and is looking forward to spending time in the mountains. When not on the hill, Michael enjoys traveling, listening to music and cheering on the Green Bay Packers. Mack grew up outside of Buffalo, New York. He spent his weekends skiing at Holimont in Ellicottville, New York with his family. He joined Holimont’s freestyle team as a J5. He decided to take up ski instruction during his high school years. After a brief hiatus nordic ski racing in college, Mack returned to ski instruction at Holiday Valley in Ellicottville New York. In 2011 Mack moved to Steamboat Springs to work at Steamboat Resort as a ski instructor. The following season he joined the U12 coaching staff at SSWSC and has been here ever since. This past season Mack coached for Colorado Mountain College as well as working with the SSWSC U14’s. Erika Hill grew up skiing for the Winter Sports Club. She raced alpine for SSWSC before telemark skiing for the United States Telemark Team on the World Cup circuit. She began assistant coaching the Buddy Werner Program with SSWSC while still competing. 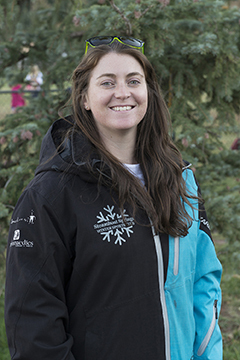 Erika began formally coaching with Loveland Ski Club in 2011, where she coached alpine racing and all mountain skiing. Erika is an environmental and geotechnical engineer, and loves sharing her passion for skiing and the outdoors with young athletes. Matt Graves moved with his family to Steamboat from Denver in 1976 at the age of 5. 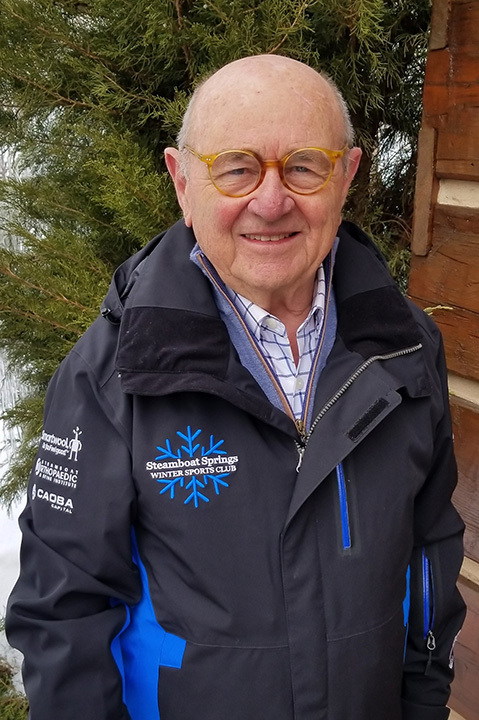 With four winters of skiing under his belt he began with the SSWSC, he started in Training Squad, a multidisciplinary program in 1978. Since then he raced, jumped, and cross countried his way through to some national level performances. Matt has coached for well over ten years, two years now leading the U12 program. He’s also coached nordic ski jumping and cross country skiing. Matt lives with his wife Sandy and their sons Wyatt and Sawyer, both SSWSC athletes. Matt is a builder, wood sculptor, hunter, gardener and cook. Growing up in Steamboat as a Winter Sports Club athlete, coach and now parent, Matt feels a strong connection to the tradition and legacy of what happens here at Howelsen Hill. Cassady grew up in Steamboat and was an athlete with the SSWSC for 10 years. After high school she went to Colby College where she spent 4 years on the Division I ski team. She was the captain for 3 years and qualified for the NCAA Championships twice. After graduating college, Cassady was a 2nd grade teacher in Denver. She recently moved back to the Yampa Valley and is continuing to teach elementary school at the Mountain Village Montessori School. She is so excited to be joining SSWSC again this season, now as a coach! Melissa Jones (MJ) grew up in Holderness, NH and skied for Waterville Valley’s Black and Blue Trail Smashers in Waterville Valley, NH. Melissa graduated from Bates College in Lewiston, ME in 2008 with a degree in Environmental Science with a concentration in Chemistry. During her time at Bates, she was a member of their NCAA Division 1 Alpine Team and served as Captain her senior year. After college, she relocated to Colorado, where she coached at Ski and Snowboard Club Vail for four years before moving to Steamboat in 2014 where she has been coaching since and teaching science at the Steamboat Springs High School. Some of MJ’s favorite things include dorking out on chemistry, rock climbing, attempting to fly fish, cheering on the Red Sox and bacon. Tony has been working in youth outdoor education since 1993. He started teaching skiing in 2000, and with the SSWSC in 2004. He grew up in western New York where he first stepped in a halfpipe in 1994, and slid his first rail in 1999. Since then he has also worked as a sailing, surfing, bodysurfing, sea kayaking and adventure learning instructor. Over the last few seasons Tony has been invited to join the US Freeskiing staff at the USSA Gold Camps. During the summers Tony works as the Assistant Director for the NYSSA summer camp for at risk youth. Andy grew up in Lake Geneva, Wisconsin and has been skiing for 13 years. He has been in the park for as many years. Even though the skiing in the midwest is not the powder runs of Colorado, he had a passion for it. That passion brought him out to Steamboat in 2006 where he has been working as Steamboat Park Crew. 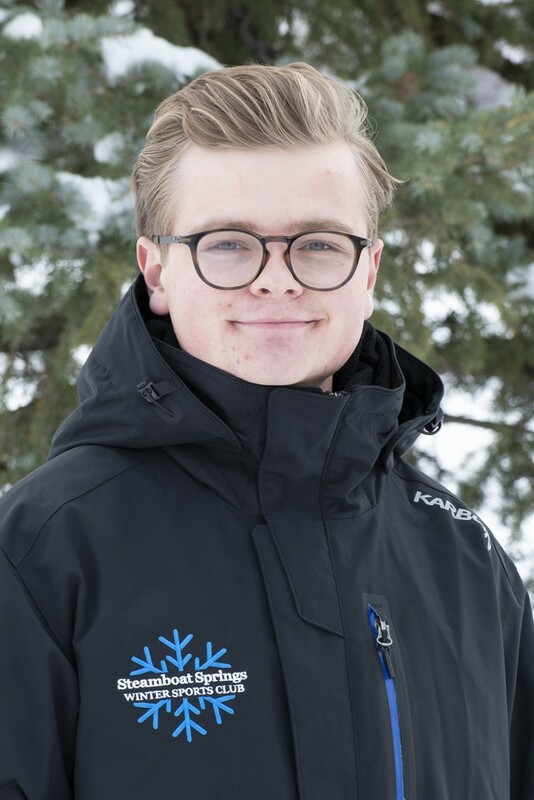 Aside from skiing he also enjoys filming and making edits with his friends and has made edits to be put up on both Copper Mountains and Steamboats web page. Originally from Vermont, Jon started coaching at Bromley Mountain when he was 14, teaching 6 to 9 year old racers. Throughout high school, Jon moved into the freestyle scene coaching and competing in moguls and slope style. Jon moved to Steamboat in ‘05 for school at CMC. While attending school, Jon was an Adult Instructor for Ski Corp, which he then moved away from to start competing on the Freeride World Qualifier Tour. Jon has been skiing for Fat-ypus Skis, a local Colorado ski company out of Breckenridge, for 5 years and has helped in design and testing their product. Jon is also a Lightpole ambassador and one of the original Lightpole team members. Lightpole is a local media company started in the CMC dorms in 05’ and is now huge throughout the Colorado and Utah Freeski scene. Jon is very excited to get back into coaching and build a fun and successful program in the Big Mountain Scene. Logan grew up in Pittsburgh PA, skiing at the near by Seven Springs Resort. His background stems from ski racing, moguls, and slopestyle. Having attended The University of Vermont, Logan was an active member of the Freeskiing team and enthusiastic about peer outdoor education. After graduating with a degree in art education, Logan ran multiple youth programs, camps and coached the Sugarbush “Diamond Dogs” Freesking team. After a long summer road trip touring the most popular ski towns in the USA, Logan chose to reside here in Steamboat Springs. Ann Battelle is relieved to finally be back in the Yampa Valley. Having moved away for 12 years, she returns with her family and a renewed excitement for mogul skiing. 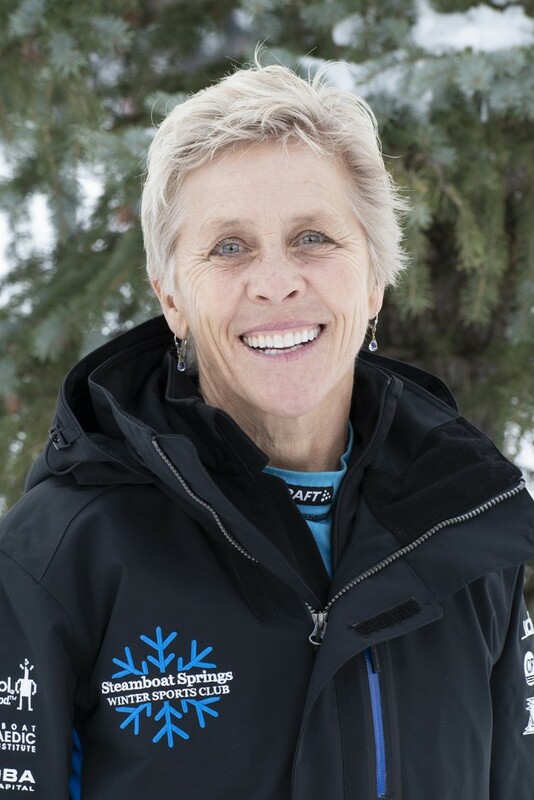 A long time mogul competitor for SSWSC, Ann is Steamboat’s first 4-Time Olympian, a World Champion and 6-Time National Champion. Ann brings a wealth of knowledge and experience to the U12 skiers. Ann spent most of her summers while on the US Ski Team coaching competitive mogul skiers. Upon retiring, she changed her focus to off snow training as a Certified Strength and Conditioning Coach, helping aspiring skiers be properly prepared for the ski season. As well, she coached women’s clinics at Eldora and Steamboat. With a new appreciation for using flat skiing to improve mogul skiing, Ann is is excited to bring her perspective and skills to the SSWSC athletes. Lars Johnson grew up in Lake Placid, NY and moved to Steamboat Springs in the winter of 2008. Lars joined the SSWSC as a junior in high school with anticipation to further his skiing career, but ended up pursing college baseball. Lars graduated from the University of Colorado at Boulder in the Spring of 2015. Lars has spent a lot of time with the SSWSC as an athlete and more recently as a coach. Over the past several years Lars has moved up from the U15 group to leading a strong U17/19 team to two junior national titles and now leads the High Performance Team. He brings great energy to each day of training while leading his team based on a solid, year-round training program. Cooper spent his childhood skiing in the freestyle program in Killington Vermont. I have known a number of his childhood coaches for many, many years! After his time in Killington Cooper went to Gould Academy in Bethel Maine skiing out of Sunday River Ski Area. Cooper went to Colorado College in Colorado Springs earning a degree in psychology and specializing in adolescence and sociology of the family. 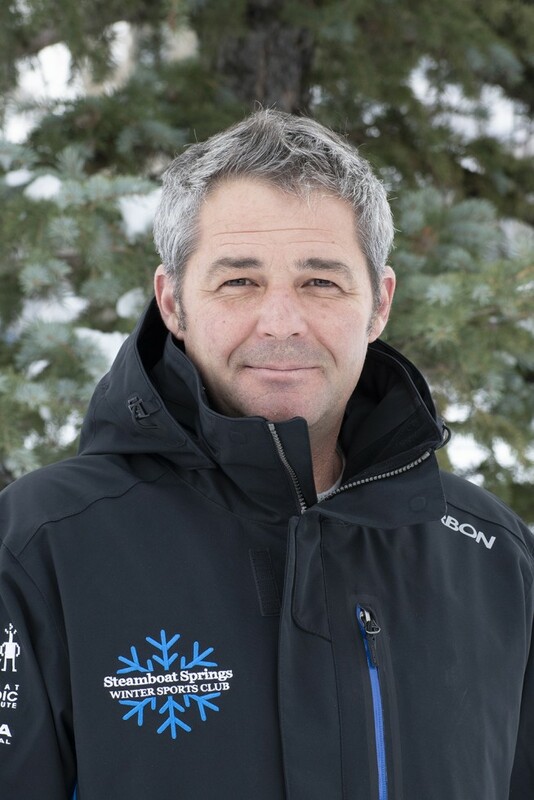 He has been a full time mogul coach for the past 4 years and also has a fair amount of experience as a ski instructor through the Professional Ski Instructors of America, (PSIA) ranks. 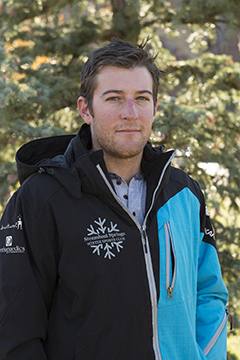 He currently holds certifications with PSIA with level 1 as a child specialist and alpine technical skiing. Cooper also holds with levels 100 for mogul skiing and aerials through US Ski and Snowboard. On top of this formal training Cooper brings a lot of practical experience as a former competitor to the table. Growing up as a competitive mogul skier, Lindsey has spent a lifetime on the slopes. She was born and raised in Breckenridge CO, and spent some time competing for Team Vail. Lindsey began skiing at the age of two, and when she was old enough, knew that she had a true passion for the bumps, and started competing at the age of 10. Lindsey attended Summit High School, and was on the elite athlete program. She competed at Nor-Ams, Nationals, and was the 2016 Rocky Mountain Divisional champion. 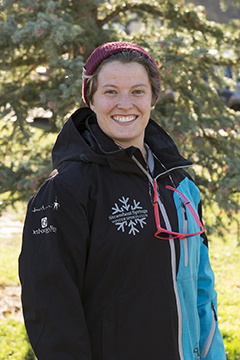 After her adventure in mogul skiing, she decided to move to Steamboat Springs, and begin a new adventure consisting of school at Colorado Mountain College, and becoming a part of SSWSC; and also discovered country swing dancing! “Steamboat truly is the best place on Earth and I couldn’t possibly be happier to live here, as well as coach for such a strong team!” says Lindsey. During the summer, she is either crashing through the waves in her kayak, or rock climbing. Karl grew up skiing in the north woods of Minnesota at his home hill of Coleraine. He is a part of the flying Denney family who began their legacy in Duluth, MN where Karl’s father and uncles trained to become U.S. Ski Team members some 30 years ago. The skiing tradition was quickly passed down to all of their children, including Karl. He developed into a nationally ranked junior Nordic Combined athlete and competed all over North America throughout his career. He went on to achieve his Bachelor’s degree in Exercise Science and Psychology at the University of Minnesota - Duluth in Spring of 2013. 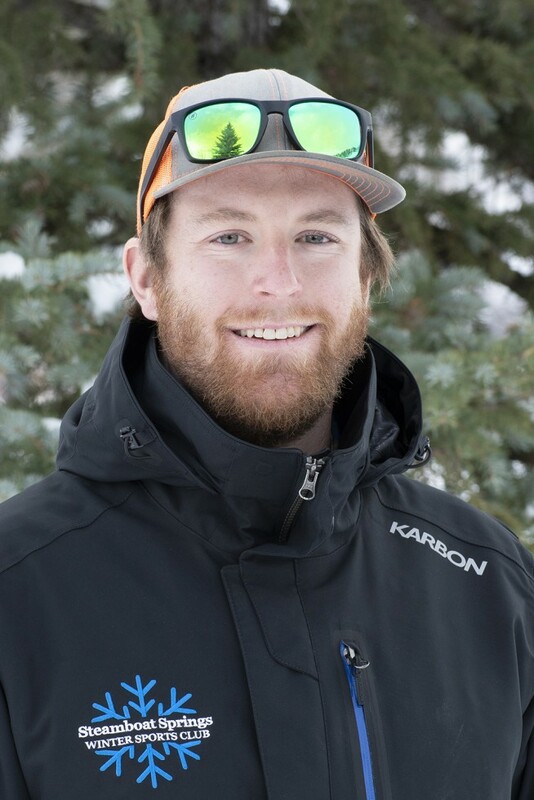 He spent one year coaching the junior jumpers and Nordic Combiners at the Park City Nordic Ski Club and is now the head coach of the U16/U18 team here in Steamboat. He also has experience as a Physical Therapy intern, lifeguard, and Behavioral Specialist. When he’s not coaching Nordic skiers, you’ll find Karl mountain biking, fishing, hiking, camping, or kicking back with an acoustic guitar. Garrett started jumping at the age of 8 at the Minneapolis Ski Club. At age 10 Garrett moved to Illinois and jumped with the Norge Ski Club. He was a Junior Olympian and a member of the Central Devo Team. In 2003 Garrett was ranked as the number one junior jumper nationally for the summer season. He has also jumped at the National and Continental Cup levels. He also holds the title for having the longest jump on the 60M jump in Madison, Wisconsin. In his position as the SSWSC U14 head coach, Garrett has taken athletes to Germany for training and competition. Growing up in Illinois and Minnesota Garrett has been involved with 4-H for many years. In 4-H he has gone to State in woodworking and rockets. He has been a summer exchange student in Japan and also hosted an exchange student at his home high school. Garrett moved to Steamboat Springs in 2007. Grooming Mount Werner was one of Garrett’s first jobs in Steamboat. Besides skiing Garrett enjoys cooking, mountain biking and any other outdoor activity. Garrett also has a love for dogs, his favorite dogs are Greater Swiss Mountain Dogs and Huskies. Josh Hanson was born and raised in the mountains of Salt Lake City, UT. He started jumping at the Park City Nordic Ski Club in 1995 at the age of 7. Josh has enjoyed a long career of jumping that carried him around the world for FIS Cup and Continental Cup events. Now 28, Josh is pumped to use his energy and experience in his first coaching position at SSWSC! He’s an avid skier, both at resorts and in the backcountry. He also plays guitar and works on his jeep with the help his dog Iggy. Connie and her husband took over Little Vikings 6 years ago. 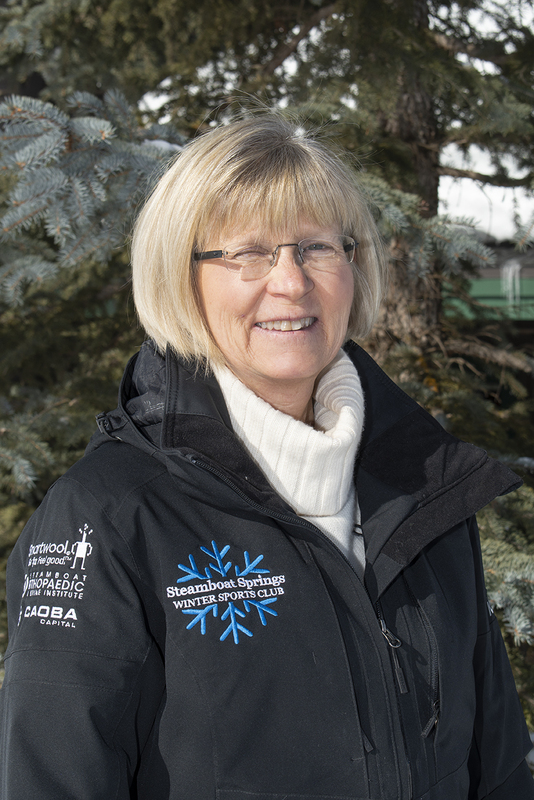 A true Steamboat local, Connie started in the SSWSC when she was 7 years old as an athlete and has been involved with the club ever since. Coaching Little Vikings is a passion for Connie, who loves to see the kids learn and enjoy their sports of cross country skiing and jumping. Peter Daley was born and raised here in Steamboat Springs, where he began alpine skiing when he was very young. 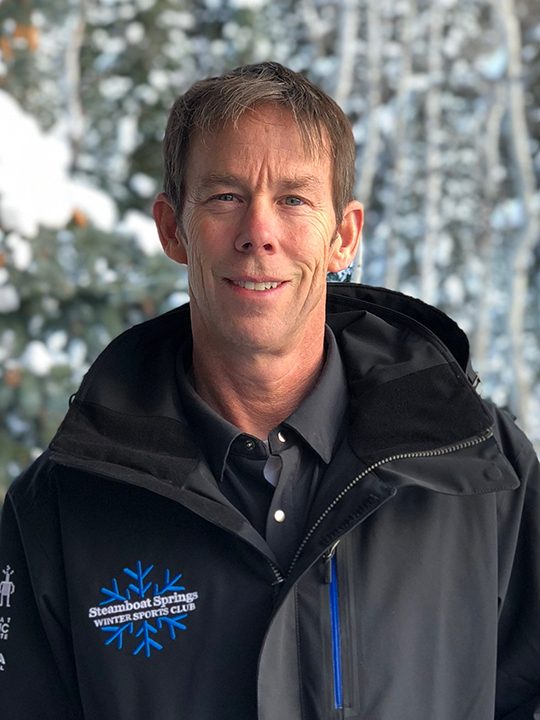 Peter first began competing in cross country from 2005-2007 with the Steamboat Springs High School and then joined programs with the SSWSC from 2007-2009 under the coaching of Brian Tate. Peter went on to ski one year at Montana State University on the Cross Country Team. In 2013, Peter and his dad purchased the company “Northland Skis” and now build the skis locally here in Steamboat Springs. This year will be his second year assistant coaching the U14 Nordic Combined team. Peter is known for his upbeat personality and ability to joke with athletes and added that the Safeway Poppy Seed Muffin is his favorite. Thedo enjoys bringing snowboard racing to a higher level in the US. He has put several riders on the US Team and coached athletes at the 2006 Olympic Winter Games in Torino, Italy. Thedo’s mission is to provide a solid training base, while working on the right mentality to excel in the sport. Thedo is a former Olympian and coached successfully on the World Cup before coming to Steamboat. In addition, Thedo coached at the 2014 Sochi Olympics. Dave grew up in Southern California, and comes from a surfing background. A Steamboat Local for 40 years, Dave’s been snowboarding for over 25 years and on hard boots for 20 years. He brings a great amount of alpine equipment knowledge and passion to the program. Dave is very involved with the Alpine Snowboard community. He goes every year to Aspen for the annual Summit Expression Session. He’s also a woodworker, and his creations can be seen on his website at http://www.davidwinterswoodworker.com Summer’s are spent backpacking in the high country with his family: wife Sue and sons Billy and Cody. Any spare time is spent tinkering with his classic car “Ernie”, a 1965 Morris Minor Traveller decked out as a surf woodie! 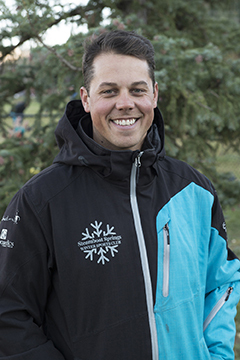 Erik is a passionate coach with 8 years of experience coaching athletes competing in snowboarding. Originally from the Midwest, he relocated last year and began his career with the SSWSC Snowboard Team. His focus is coaching athletes competing in SBX and he also assists with riders competing in Slopestyle. His passion runs deep in helping youth and young adults and his college background is in Human Services (psychology and youth). In addition to leading the Snowboardcross Team at SSWSC he also specializes in coaching athletes on trampolines and in the gym. In his free-time he loves spending time with puppy, riding motorcycle and camping. Hello! My name is Maddy Schaffrick. I was born and raised in beautiful Steamboat Springs, Colorado and grew up in the Winter Sports Club. My list of passions is substantial but snowboarding has always been at the top of it. I love all creatures but lions are my favorite. My favorite color is the Rainbow and my favorite thing to eat is ice cream. I’m allergic to all nuts, which is funny because my favorite people are nuts! Snowboarding is fun. Friends are family. Nature cures everything. Kindness makes a difference. Magic is Real. Love is All. On top of Maddy’s contagious personality and smile she was on the U.S. halfpipe team for seven years. Her resume is packed with impressive results including X Games and Grand Prix events. Trevor Mekelburg was born and raised in Fort Collins Colorado. He would visit Steamboat with family as a child and knew it was where he wanted to call home. After graduating high school Trevor moved to the Yampa valley and got involved with the community. He coaches skateboarding at the local elementary schools during their skateboard unit. He also skateboards with kids at the local Sk8 Church. Here is what he has to say.